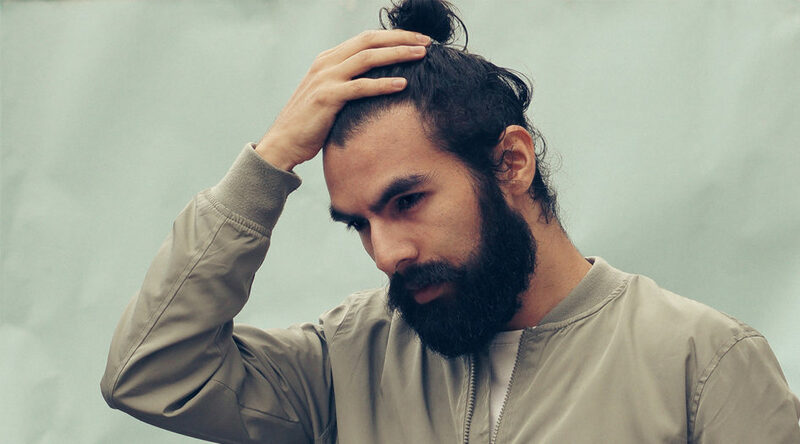 From the early ages, where it was grown primarily for warmth, to the modern days where it indicates masculinity and vigor, the beard has evolved into one of the dominant fashion factors for men. Although a man’s masculinity includes his courteousness, personality, and brains, one cannot wipe out the fact that beard, in fact, makes them look cool and feel sassy. Although there are a ton of ways to style one’s facial hair, there are a few vogues which stand out, typically in India. With some mindful grooming and with the hand of a skilled barber, one can maintain their desired style without much discomfort. 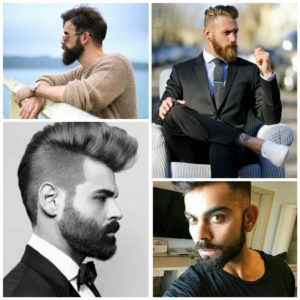 Let’s look at few of the most desired Indian beard styles this year and with other suitable factors like dressing and hairstyle, men, you have a perfect collection to look stunning! The Corporate Beard, as the name suggests is a style, suitable for the office environment. Wear it with a neat formal outfit and you’ll see the heads turn in your office. This style is typically achieved with a full beard which can be reached without shaving for about 4-6 weeks. More than any other facial shapes, it is most suitable for triangular faces. However, it requires keen maintenance to master this style. The most common tip one must remember is to clear all the neck hair which is also handy for other beard styles as well. You can use a high-quality razor or visit your favorite barber to do the job for you. Now, do not get carried away with the name; the Corporate beard is also fit for formal and informal parties, family occasions, photo shoots; let’s just say, a man with a corporate beard is always ready! 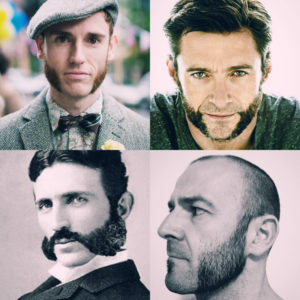 The easiest way to explain Muttonchops is Hugh Jackman. If you don’t know him, it’s okay, this style isn’t that complicated. The Muttonchops is a classic beard style with long sideburns over the jaws which extend to the corners of the face and join the mustache. Now, to achieve this beard style, you must grow your beard for about 4 weeks and make sure the mustache and the beard are connected. However, there are two types of the Muttonchops, the one with the mustache and the one without. Depending on your taste and facial shape, it’s entirely your call to choose either one because both look amazing! The name seems strange, Isn’t it? Let’s go back four centuries; this beard style was named after a 17th-century painter Anthony van Dyck. 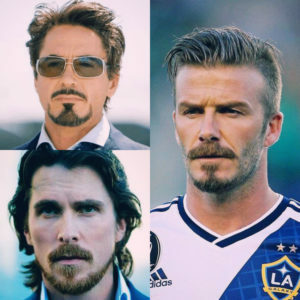 It is a classic beard style also worn by King Charles I of England, Vladimir Lenin, Colonel Sanders, Christian Bale, Johnny Depp and many famous personalities. Basically, a Van Dyke is made by a small goatee and a mustache with the cheeks clear of any facial hair. This style complements the Indian traditional attires but just like any other charming beard style, a good care is a must. The Circle Beard clearly indicates how the beard looks. 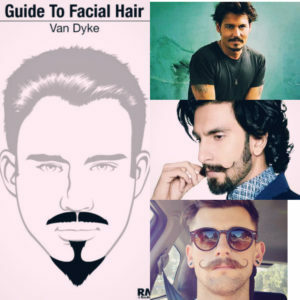 The cheeks being clean shaved, the facial hair is only concentrated above the lips and on the chin, giving it a circular look by connecting the mustache and the beard. This style is mostly desired by older men who wish for a neater look without having to grow a full beard. This style emphasizes the mouth area and also helps in lengthening a round face. It takes about two weeks to attain a properly tamed Circle beard. Although it is easier to maintain, it requires subtle touch-ups to keep it in shape. Another eponym in the list, Balbo is derived from Italo Balbo, an Italian Blackshirt leader, Commander-in-Chief of Italian North Africa and the first person to wear this beard style. 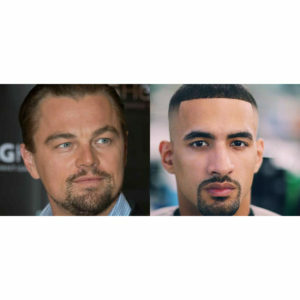 The Balbo basically gives a T shaped look; the style involves a normally sized mustache, chin hair and a light patch below the lower lip which are connected to each other with a thin line of hair. However, the chin hair and the mustache are non-connected. It is most suitable for round faces but unfortunately looks presentable only if the facial hair is straight. So, keep in mind to comb and clean your beard regularly to avoid curling. No matter how basic these styles may seem, it takes proper maintenance and care to keep them defined. Simple tips like regular grooming, applying beard moisturizers/oils, using good quality razors and shaving creams also add on to the neat look. So, get ready to complement your face with a stunning beard!